New signage is now in place, the paint is now dry and Archbold Carshop's impressive new Ford showroom is fully operational and open for business. A vast amount of work has been undertaken to transform the interior of the building into an extremely smart and prestigious state-of-the-art new car display area incorporating Ford's very latest corporate identity. The design of the showroom sets the standard put in place by Ford. The facilities for both customers and staff to use are extremely impressive and very hi-tech. WiFi and iPads are readily available so that customers can check out the many options offered by Ford when configuring the specification of their new Ford vehicles whilst customers relax on supremely comfortable seating. Moving visuals are displayed via large ultramodern flatscreens and refreshments are served. 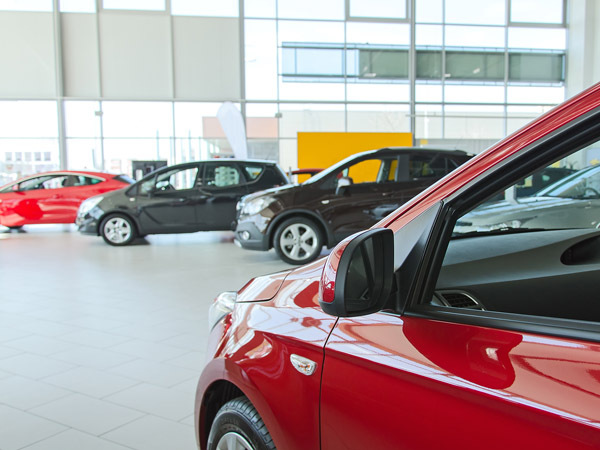 Combining these facilities with the friendly and attentive customer care offered by the sales team makes a visit to Archbold Carshop's new Ford showroom a very pleasant experience indeed. It's a great environment in which to discuss your next car purchase. Ford has long been recognised as Britain's biggest-selling motor company, and inside this magnificent showroom you'll find Ford's award-winning range of stylish models. KA, the gorgeous New Fiesta, B-Max, Focus, C-Max, Mondeo, S-Max, Galaxy and the all New Kuga crossover, available in both two and four wheel drive formats. These are the stylish cars that not only top the sales charts but lead the way in all their respective classes. Archbold Carshop Ltd now displays them all. The arrival of the new Ford showroom is great news for the area. As a small, family-owned company Archbold Carshop Ltd has managed to weather the economic storm very well. At a time when many businesses have been finding the going tough, this dealership has been investing in its facilities and actually expanding, taking on more staff as demand for new and used cars has risen along with the resulting need for vehicle maintenance. Sales Manager, David Eccles comments: “Holding the Ford franchise has certainly helped us to thrive, but it's also the fact that our team across all areas of the dealership go that extra mile to deliver exceptional service to all our customers who we'd like to thank for their loyalty which has ultimately made us successful. I'd like to invite customers past, present and future, to visit our new showroom. We think that they will be impressed with what they find! ”You'll find Archbold Carshop Ltd at Prospect Garage, Church Street in Morley near Leeds (LS27 8LY). Our bespoke-writing team have decades of experience in writing on automotive subjects and they already provide most of the UK regional press with this service. As a client, you simply brief them on your required topic and provide enough information for them to produce an initial draft you can then peruse prior to final completion. There's usually no limit as to how much you can use this service and a hotline number gives you direct access to it.